The chaos of Thanksgiving weekend shopping has calmed down a bit, but it doesn’t look like mobile shopping is going to slow down quite just yet. Black Friday and Cyber Monday yielded a high volume of engagement in mobile commerce among consumers, and its popularity and usage is expected to soar even higher as the holiday season continues. On Black Friday and Cyber Monday, many large retailers such as Amazon, Best Buy, Target and Walmart offered staggering deals to encourage customers to shop online, which in turn produced an increase in purchases made on mobile devices. A study by Motricity showed that 70% of mobile device-shoppers made more purchases from their smartphone in 2011 than they did in 2010. 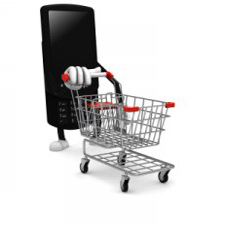 We’ve said it before, but this may prove to be the biggest year for mobile commerce thus far. 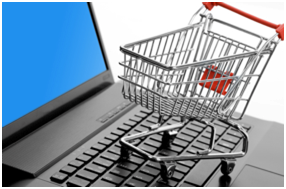 Mobile platforms were responsible for 14.3% of all online shopping traffic on Black Friday, according to IBM. Black Friday and Thanksgiving Day brought record mobile engagement for PayPal, with over 500% increases in global mobile payment volume compared to 2010. On Black Friday, mobile shopping was led by Apple, with the iPhone and iPad ranking one and two for consumers shopping on mobile devices, according to IBM. By 3PM E.S.T on Cyber Monday, mobile users had accounted for 7.7% of all online shoppers, which more than tripled last year’s numbers, according to Dow Jones. Create a mobile-friendly website for shoppers surfing the Web for deals on their mobile devices. Issue mobile coupons through text messaging to target the consumers looking for deep discounts. Implement QR codes at the point-of-sale to encourage customer interaction. Consider the different ways in which consumers interact on their mobile devices, including peak days of the week and times of day that they browse the Web, send text messages, check their social networking sites, look for coupons, etc. Retailers, businesses, and brands— gear up for the rest of the holiday season. Shoppers are going to be active on their mobile devices, so take advantage of users’ increased mobile engagement during the holidays by creating an integrated campaign that reinforces your message, raises awareness, and creates excitement so that consumers will want to engage with you. Mobile payments are on the rise this holiday season! Black Friday shopping proved to be very mobile, with consumers looking for coupons and deals for both in-store, and online purchases. Mobile commerce is off to the races this holiday shopping season. According to an announcement Monday from eBay, shoppers opted to reach for their mobile phones and tablets in record numbers this year on Black Friday. Shoppers in the U.S. purchased nearly two and a half times as many items via eBay Mobile this Black Friday when compared to 2010. Correspondingly, PayPal Mobile announced a six-fold (516%) increase in global mobile payment volume compared to last year. GSI Commerce announced a three-fold (254%) increase in U.S. mobile sales on Black Friday. Online holiday shopping is expected to surpass the record levels reached in 2010, with industry experts predicting mobile purchases, deals and coupons to be a large part of the shopping experience. Online holiday shopping reached record levels in 2010. And e-commerce spending is up this year. All signs point to consumers spending even more online this holiday season. I sat down with executives from Google, eBay, PayPal and ShopKick to discuss the trends that are expected to emerge in the e-commerce space over the next few months. They center around mobile, tablets, and deals. PayPal has more than doubled its mobile payments volume since the 2010 holiday shopping season, and we haven’t even hit the thick of this year’s rush. eBay is projecting $5 billion in mobile payments volume in 2010 and this number could increase in the next few months. And Google projects that 15 percent of total search on Black Friday (the day after Thanksgiving and one of the biggest shopping days of the year) will come from mobile devices. Tablet devices are now a part of the online shopping experience and retailers are taking note. Clearly, all signs point to the fact that this could be the breakout year for mobile shopping. All of the companies I spoke to unanimously agreed that this would be the year of mobile for the holiday shopping season. Steve Yankovich, head of eBay’s mobile business operations and development, says he expects this to be the biggest year for mobile sales for eBay yet. 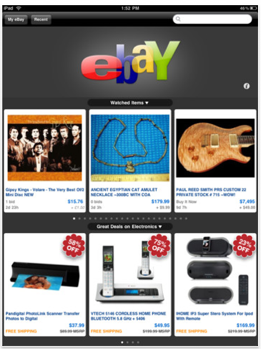 eBay has said that the company expects to see $5 billion in gross merchandise volume in 2011, and this will be partly buoyed by a strong mobile presence in November and December. PayPal’s Senior Director for Mobile, Laura Chambers, echoes Yankovich’s forecasts and says that merchants are even preparing for the onslaught of traffic to their mobile sites. A number of big retailers, such as Armani Exchange, Guess and The Limited have recently put PayPal’s mobile express checkout as an option for payments on their mobile sites as a way to help the conversion process. “We are seeing strong investments by online retailers for mobile shopping this year,” she says. Chambers says that last year, the peak day for mobile payments for PayPal was December 12, with $4.7 million in mobile payments volume. Now PayPal is seeing $10 million in mobile payments per day, and we haven’t even officially hit the holiday shopping period. Clearly, the mobile payments numbers could even triple from last year to this year. While many consumers may shop on mobile for their holiday purchases, the usage of product search, barcode scanning, and other informative apps will also play a big part in this year’s mobile shopping. eBay’s RedLaser barcode scanning apps have seen scans go up 50 percent over the past year. If you aren’t familiar with how it works, RedLaser will scan the barcode of a physical product and show you where you can buy it on eBay’s properties and where it is available in local store locations around you (via Milo) and for how much. The app has been updated with PayPal functionality so that users can actually buy the product directly from the app. Another shopping app developer who has high hopes for mobile this holiday season is ShopKick. Co-founder Cyriac Roeding says that this year will be the year of mobile for physical shopping. For background, Shopkick automatically recognizes when someone with the free Android or iPhone app on their phone walks into a store. Once a Shopkick Signal is detected, the app delivers reward points called “kickbucks” to the user for walking into a retail store, trying on clothes, scanning a barcode and other actions. Kickbucks can then be redeemed across all partner stores for gift card rewards or for Facebook Credits. User can also receive special discounts on specific products at partners stores like Macy’s, Best Buy or Target. Samat says that Google has seen a 200 percent growth in mobile product search usage and Google Shopper app downloads over the past year. Shopper, which is available for iOS and Android, allows you to find product prices, reviews, specs, local inventory of products at nearby stores, and more. As tablets have grown to be the go-to browsing device, the iPad, and other devices are also becoming a way to shop. And retailers are catching on to this trend. According to a National Retail Federation study, 20 percent of retailers have invested in tablet device apps this holiday season. With this in mind, Google debuted Catalogs in August, an app for tablet devices that includes 200 catalogs from major brands including Anthropologie, Bare Escentuals, Bergdorf Goodman, Crate and Barrel, L.L. Bean, Lands’ End, Macy’s, Neiman Marcus, Nordstrom, Pottery Barn, Saks Fifth Avenue, Sephora, Sundance, Tea Collection, Urban Outfitters and Williams-Sonoma. The app is more than just a browsing experience. When consumers find an item they’d like to purchase, they can tap to find it in a store nearby or tap “Buy on Website” to visit the merchant online. PayPal calls it ‘couch commerce’ and believes that tablet commerce will have a record year. PayPal recently reported that consumers who own both a tablet and a smartphone are significantly more likely (63%) to indicate increased overall spending on mobile purchases, versus owners of smartphones only (29%). Owners of both a tablet and a smartphone buy nearly twice as often as those who only have smartphones and more than 40% of dual owners made more than 20 mobile purchases over the past year, compared to only 12% of smartphone-only owners. Forrester just released a report predicting a 15 percent increase in online shopping sales this year to nearly $60 billion, partly due to the increase in consumer-use of tablet computers for shopping. Black Friday and Cyber Monday are historically the top-high-grossing online shopping days during the holiday season. But execs expect to see high volumes of online shopping on other days thanks to an increase in mobile shopping and deals. Yankovitch tells me that eBay expects revenue numbers to be well over numbers that eBay saw last year for Black Friday and Cyber Monday, but expects to see more activity at times when people aren’t traditionally shopping. The day of Thanksgiving is one of those days, says Chambers. Because people will have their phone everywhere (including at the table), consumers are expected to make purchases on the fly, especially on Thanksgiving evening. In fact, PayPal is predicting that after dinner on Thanksgiving Day will be the first mobile shopping spike this holiday season. Another popular day has been the second Sunday in December, which is one of the last days where people feel confident that items will be shipped in times for the holiday. And Chambers says across the board, Sunday is the biggest day for mobile shopping generally. There’s no doubt that deals, coupons and discounts will be a large part of the online holiday shopping experience, especially with the current state of the economy. According to the recent Forrester report, 58 percent of Americans say they are more price-conscious today than they were a year ago and nearly half believe they find better values online. “I really expect consumers to be deal hunting this season,” explains Chambers. She says that PayPal, which has historically offered special deals for the holiday shopping season, will be bulking up on more consumer deals this holiday season. Deals could also include lucrative holiday shipping offers. In 2010, 45 of the top 50 online retailers offered some sort of promotional deal between Thanksgiving and Cyber Monday, most of which were a type of shipping promotion. And in 2011, Shop.org anticipates that a record 92.5% of online retailers will offer free shipping and not just as a Cyber Monday promotion. Clearly, there’s plenty of optimism from retailers, and tech companies regarding online spending and shopping this holiday season. And this holiday season is somewhat unique considering the big bet that retailers are making on newer technologies, such as mobile, geo-location, tablets, local product search and more. The big question is how consumers will react to and engage with these technologies over the next several weeks. It could be a very mobile Christmas. A new study by Hipcricket points to the fact that mobile’s role in holiday shopping will be different and more important than past years, making it key for brands and retailers to have a sophisticated presence in the space. Mobile retail Web sites have emerged as an in-store shopping companion. Consumers are relying on their devices to locate the products they want, search for coupons and special discounts, and compare prices at competitors’ stores. “Increasingly, shoppers are using their mobile devices – in particular, mobile retail Web sites – when they shop,” said Eric Harber, chief operating officer of Hipcricket, Kirkland, WA. “This is true for retailers, but it also in the bricks-and-mortar retail world. “Retailers need to remember that consumers always have these devices at arms’ length, and aren’t afraid to check to see if a competitor has better inventory or lower prices,” he said. “But this is an opportunity, too – retailers should embrace this. The 2011 Hipcricket Mobile Marketing Survey is a national survey designed to provide insight into consumer behavior and attitudes towards mobile marketing. The survey was conducted in October via email and is based on 607 respondents. Sixty-three percent of smartphone users have visited a retailer’s Web site from their mobile device, compared to 53 percent in 2010. Additionally, 41 percent have done so while in the retail store. Interestingly, 50 percent have checked a competitor’s mobile Web site while in another store. Historically, mobile retail sites were lightweight versions of retailers’ PC Web sites. They were mostly relied on for information such as store locations, directions and hours. All of that has changed. Today, consumers expect mobile-specific retail sites to provide significant benefits to them. And, retailers need to be using their mobile Web sites as a tool to move consumers through the purchase funnel. Seventy percent of all smartphone users use their device regularly to access the mobile Web. Smartphone users are accessing mobile retail Web sites to research prices (46 percent), search for coupons and offers (36 percent), research products (28 percent) and purchase products (13 percent). “Remember, you’re a guest on your customers’ mobile device,” Mr. Harber said. “Be respectful of the opt-in nature of mobile marketing but don’t overstay your welcome. “Give them useful, compelling content – tips to save time at the holidays, special recipes – and special offers on things you know they want to buy,” he said. Only 9 percent of survey respondents reported they are being marketed to by their favorite brands on mobile. However, respondents showed a willingness to join mobile customer relationship management or loyalty programs for their favorite brands. In fact, 33 percent would be interested in joining such a program, but only 12 percent currently participate in one. 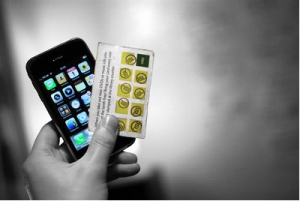 Additionally, 75 percent of consumers found value from participating in mobile loyalty clubs. During the holidays, 61 percent of consumers will likely use their mobile device as a shopping companion. Overall, 31 percent of all mobile phone users have interacted with a brand through their mobile device and 59 percent of smartphone users have done so. Also notable, 33 percent of mobile phones users are interested in receiving offers based on time and location. For example, a coupon delivered at noon for $5 off a pizza at a local shop. “Mobile’s got a seat at the table now – it’s a critical, cross-channel marketing element, rather than a discrete, siloed activity,” Mr. Harber said. 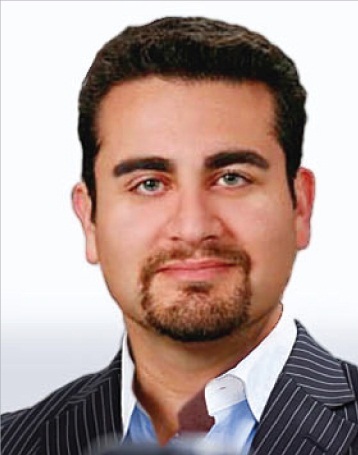 “Increasingly, our customers are seeing the benefits of connecting customer-facing mobile marketing technologies such as mobile retail sites or ongoing SMS campaigns with back-end CRM and enterprise marketing automation solutions,” he said.